As a mom to a special needs child, I have unfortunately seen firsthand that kids can be mean. Oh the many times that I have seen the judgement on the faces of both kids and parents alike when they realize that my child is 'different'. But where does that come from? Yes, kids have a natural curiosity, but that judgement- that teasing, it has to come from somewhere, right? During my freshman year in high school, I had the amazing honor of working with a preschooler with Down Syndrome. My job was to provide him with the extra one and one help he needed every morning, but let me tell you this boy helped me more than I could ever help him. Each morning he would greet me with a hug, and fill my mornings with such joy. I also got to see him interact with the other children in his class. What did I see? I saw that to them, he was just one of them. Yes, they surely saw that he had some differences, but at five years old, they welcomed him. He was a kid, just like them. They accepted him. At a young age, I saw that with my own son as well. His peers for the most part accepted him. But then he got older, and that all changed. But... how did that change? How did children who once accepted him for who he was suddenly start passing judgement? For many, I feel like it was learned. When parents pass judgement on the kids having a meltdown in the store, or the kid who acts differently than their own, their children see that. They take it in, they mimic it. Sadly, I have seen this all too many times as my son has gotten older. As parents, perhaps one of the best things we can do is to teach our children to respect those who are differently-abled. Today, I am very excited to share with you a brand new book that can help us to do just that. 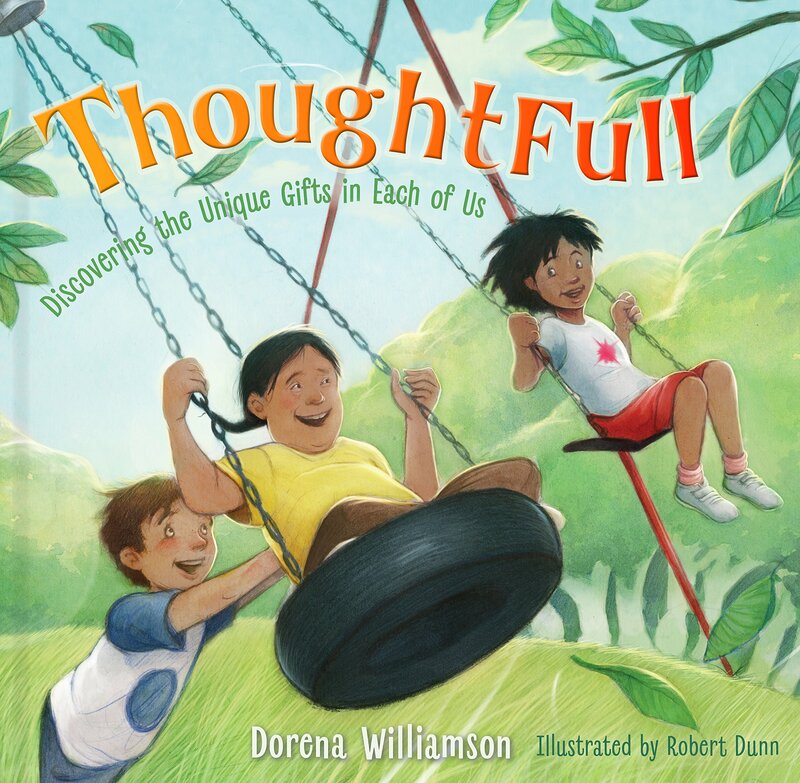 Author Dorena Williamson explores the need to be "thoughtFULL"—full of thoughtfulness and awareness, particularly with those who have special needs. In this delightful story, it's awards day at school, and Ahanu (a boy with Down Syndrome) earns the award for being thoughtful. Later, when his friend Joshua sees others making fun of Ahanu, it's Joshua's turn to be thoughtful by supporting his differently abled friend. While doing so, Joshua learns important lessons about friendship, disabilities, and the value we each have as God's children. Wow! What a great concept, right? Again, as a mom of a special needs child, I could not help but feel that this was a book that EVERY family needed to read with their children. It is a simple story, told in a way that kids at even a young age can understand, but really talked about such an important topic. Showing kindness to others... even those who aren't just like us. This particular story focused on a boy with Down Syndrome, but it is a lesson that can be applied to so many other scenarios. It can give us the opening to talk to our children about the variety of differently-abled people out there who deserve our kindness and respect. Autistic children like my son who can range from barely noticeable (just a little different) to more noticeably affected. To kids who are in a wheelchair or have other physical impairments. To kids who cannot see or hear. To anyone who doesn't fit the mold. Sometimes as parents we are not sure where to start the conversation with our children, but this book truly does provide a great starting point to help us. I absolutely loved this book, and truly do think it is a must read for ALL. Ready to pick up your own copy? ThoughtFull is available to purchase now at your favorite Christian book retailers.